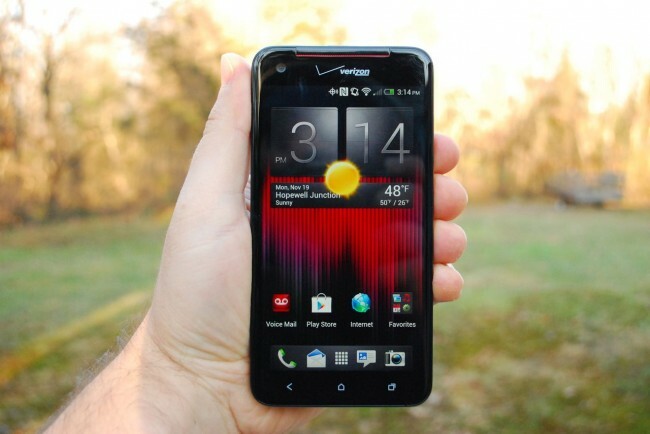 After reviewing the Samsung Galaxy Siii, I had the opportunity to test out the Droid DNA. At first I hated it. I thought it was useless compared to the Siii. I’ve been testing this phone for a month now, and my opinion has changed slightly. Let me explain why. The Droid DNA has a massive screen, which lends itself useful for browsing the web, watching videos, and viewing other types of media. The screen is 5″, it’s literally the closest thing to a tablet I’ve seen. I found the screen to be more useful than a nuisance, which is why I am now a big fan of large smartphones. Also, the 1080p screen is nice to view HD videos with. Overall, the screen was the best part. The camera is not even close to the Siii or iPhone. I shot many photos over the duration of my trial, and I was never impressed with it. I found this to be the most disparaging, and the 8mp camera spec is misleading (although you shouldn’t trust megapixels in regards to photo quality). If you want a phone that shoots quality photos, buy an Siii. I found the video recording to be pretty nice overall. It shoots video in 1080p, which is very nice. Overall, I was happy with the quality of the videos recorded. I recommend this phone if you want to capture those memories on the go, without carrying along a video camera. I was very impressed by the speed of the phone. I never experienced lag of any sort, which surprised me. It’s a SNAPPY phone! Unlike other phones I’ve tested, this device didn’t crash. Overall, if you are looking for speed and reliability, go with the Droid DNA! The phone feels very chunky, which I hated at first. Compared to the slim Siii, this device felt heavy and thick. Sometimes I had trouble fitting the DNA in my pocket, which I was not a big fan of. Over time, this didn’t bother me as much, yet I still would prefer a lighter, thinner smartphone. The phone incorporates “Beats Audio” into the device. I found this feature to be cool, yet I rarely used the external speakers. If that’s something you like, the rich audio from the phone is hard to beat. I had a major pet peeve while testing this phone. The lock/unlock button was located on the top of the phone, which made one-handed use nearly impossible. I found the battery life to be very good. Unlike other devices I’ve tested, I could use this phone for a couple days before it required another charge. In short, it’s tough for me to recommend anything other than the Siii (at least in the Android segment). While this phone has nice features, an impressive screen, and a snappy processor, if someone asked me what phone to buy at a similar price point, I would have to defer to the Siii.